An Choi is pretty bad. 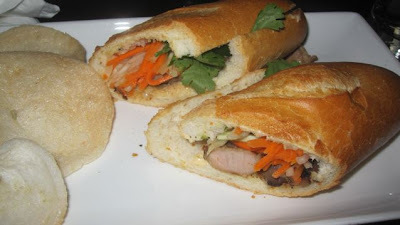 There are so many good bahn mi places out there but this was pretty disappointing. Ford and I started with Vietnamese spring rolls that were greasy, soggy and tasteless. The sandwich itself was pretty dry and hardly had anything inside the stale bagette. I wouldn't go there again.